Blase Ur, a final-year PhD student in the Institute for Software Research’s Societal Computing program, is this year’s recipient of the John Karat Usable Privacy and Security Student Research Award. Acknowledging strong research, a commitment to mentorship, and service to the usable privacy and security community, the award is presented every third year at the annual Symposium on Usable Privacy and Security. Ur’s research focuses on supporting data-driven password-security decisions by users as well as online privacy as it relates to the Internet of Things. His work has been widely recognized with awards including a best paper at the ACM International Joint Conference on Pervasive and Ubiquitous Computing (UbiComp), a National Defense Science and Engineering Graduate Fellowship fellowship, a Fulbright scholarship, and several honorable mentions for best paper at the ACM Special Interest Group on Computer-Human Interaction (CHI). Additionally, Ur has been quoted in publications ranging from Motherboard to the New Scientist. 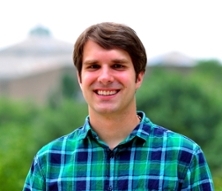 After completing his PhD this year, Ur will be joining the faculty at the University of Chicago as the Neubauer Family Assistant Professor of Computer Science.